The question on the lips of many champagne drinkers and writers for years has been “when will Krug 2002 be released?” Finally we have an answer for you, February 1st has been marked as the official launch of Krug 2002 into the market. One of the underlying philosophies of Champagne House Krug is that a vintage will not be released until it is ready to drink, which means it is common for the release to be many years after other prestige cuvées have been released. 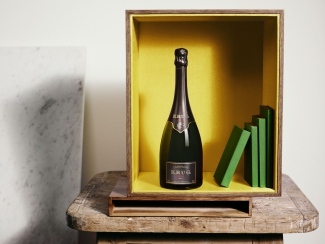 Already on the market is Krug 2003, a champagne with a deep, ripe chardonnay and pinot noir flavours, Krug’s Chef de Cave, Eric Lebel described the vintage as “half the size” of a classic Krug vintage, and being “very straight and direct with tremendous balance.” Scores of 95/100 from Antonio Galloni show that Krug only release when the vintage is ready. The highly anticipated 2002 vintage is finally approaching the market and everyone is very excited.There is no doubt that 2002 was one of the best vintages in decades, both in quantity and quality, some of the most highly rated have been released more than 5 years ago such as Dom Pérignon 2002, Taittinger Comtes de Champagne 2002, Salon Le Mesnil 2002 and Louis Roederer Cristal 2002. If Krug 2002 is a good as these other 2002 vintages then we are in for a real treat. Unfortunately, 158th Edition Grande Cuvée is unavailable but Krug 2002 finally is. With a limited production and high demand, Krug 2002 is sure to hit the market with a bang. Allocations will be sold quickly so don’t miss out. 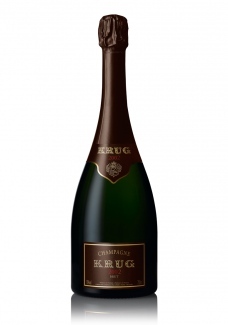 Krug 2002 is available from The Finest Bubble here.